There are some late nights coming up for the David, Venus and Chimera, as museums, galleries and archaeological sites in Florence and the province stay open until midnight at various times during the course of the summer. 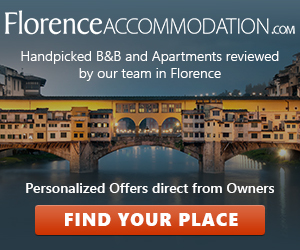 A range of initiatives have been organized to enable visitors to spend an evening doing something a bit different: the Uffizi and the Accademia are extending their opening hours, while the “Archaeology Nights” initiative features evening tours of the area’s most important archaeological museums and sites, with free itineraries, lectures, workshops and tasting sessions. Starting with the Uffizi: every Tuesday until 18 September the museum will stay open until 10pm. And anyone who wants to see Michelangelo’s David in the evening, plus all the other treasures housed in the Accademia Gallery, has the option of Tuesday evening (free admission, 7–10 pm) or Friday evening (also until 10pm, but normal ticketed admission applies). Amongst the many initiatives comprising the “Archaeology Nights”, there are special evening openings organized by the Archaeological Museum (Saturday 7 July, 8pm–12 midnight, info: tel. 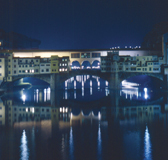 055 23575) and the Museo storico topografico Firenze com’era (Saturday 7 July, 9–11pm, free admission). On Monday 16 July there is a free guided tour of the Roman Theatre in Fiesole for people with disabilities. An archaeology trail will be inaugurated at the Castello di Calenzano Alto on Friday 13 July, and will remain open until Sunday 29 July (7–11pm on weekdays and 7–12 midnight at weekends, info tel. 055 8827531). 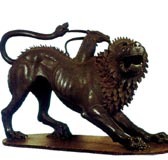 Elsewhere in the province, the Medici Villa of Cerreto Guidi will be opening the doors of its hunting and local history museum on the evenings of 13 and 14 July (free admission, info 0571 906220), while the Museo storico etnografico in Firenzuola will have a special opening on Saturday 21 July. The museum of Fucecchio is combining evening openings with a programme of international archaeology films, while in Greve there will be lectures on the Castello di Montefioralle (19 July) and on the Roman presence in Panzano (27 July). At Montaione, the Archaeology Museum will be open on the evenings of 12 and 17 July, and visitors will be offered a chance to sample traditional products and ancient recipes. Montelupo is also combining history with food and wine, with aperitifs for anyone visiting the Archaeology and Ceramics Museum on weekends throughout July. Evening lectures and free openings are also on offer at the Vine and Wine Museum in Montespertoli, at the archaeological sites of Vicchio and at the Archaeology Museum of Palazzuolo sul Senio, which, on Saturday 14 July, is also organizing a demonstration of how bronze utensils are made. Finally, the museum at Vinci is combining guided tours of the castle with readings of ancient documents (Monday 30 July). For further information about the “Archaeology Nights”, visit the official web site.